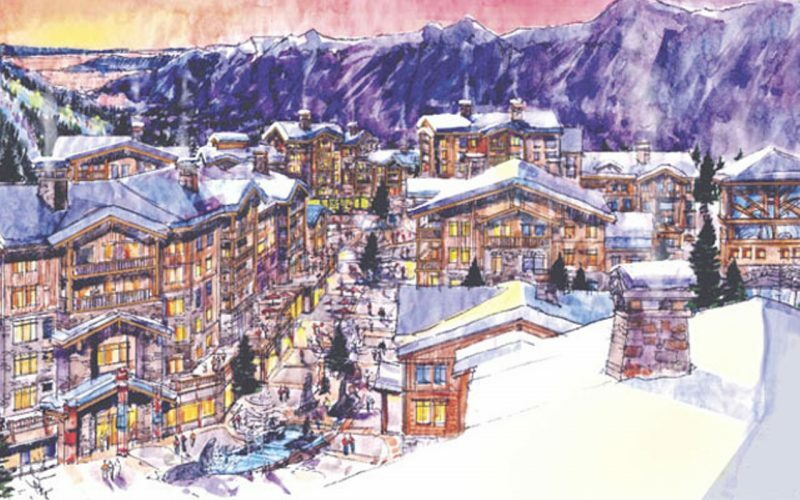 A giant $3.5-billion ski resort project on the West Coast of Canada hopes to be open from 2025, its developers have said. Currently known temporarily as the ‘Garibaldi at Squamish’ ski resort the complex, to be located in an area known as Brohm Ridge just north of the coastal town of Squamish, located on the Sea-to-Sky Highway between Vancouver and Whistler, has been planned for a long time (the original master plan dates back to the mid-1990s) but does appear to be making progress. In 2016 the plans received environmental approval from British Columbia’s provincial government and it is reported a consultation document that seeks to address numerous environmental concerns is currently being circulated, with the developers also seeking opinions via an online consultation on their website. More approvals are currently being sought which involves the developers, who are mostly made up of several investment groups that work with clubs in North America’s National Ice Hockey League (NHL), proving the project will bring in strong tax revenue to the local community and making other guarantees for their use of public land. If all go ahead in a timely manner construction could begin in 2023 with a phased opening and work complete by 2040. The first phase, completion of which could be by 2025, would create a working mid-sized ski area with eight lifts. The completed resort would have more than 20 lifts and more than 130 runs by completion in 2040. A spokesperson for Garibaldi at Squamish told media the ski area would be bigger than the ski hills near Vancouver but smaller than Whistler, and more expensive to ski at than Vancouver’s local ski hills but cheaper than Whistler. The resort’s current name is temporary and a new permanent name, created in collaboration with project partners Squamish First Nation, is to be announced later this year.